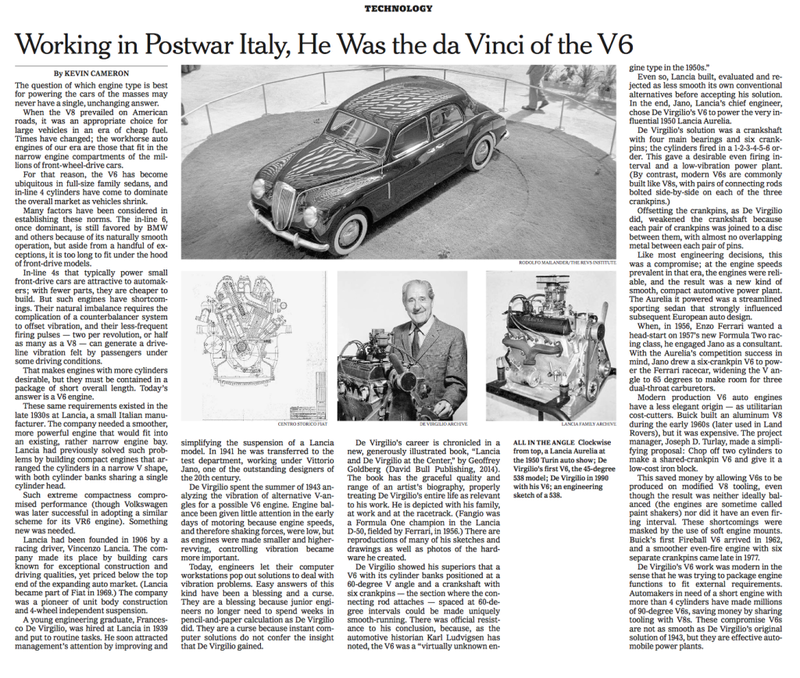 On Dec. 14, the NYT ran a story on De Virgilio and the V6 engine, as the engineer and writer Kevin Cameron explained the importance of this engine and how its design was solved at Lancia in the 1940s. Apart from enjoying the coverage of De Virgilio and Lancia, in itself the story is worth considering. Imagine a national media outlet, in fact the most important in the US, writing about an engine design from 70 years ago. This says a lot about our current interest in design and the NYT.